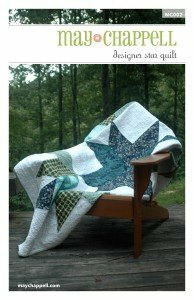 Want to make a quilt top in a day? This graphic quilt comes together very quickly and is so fun to make! Using simple techniques, the pattern is written for a beginner, but fun for an advanced piecer as well.